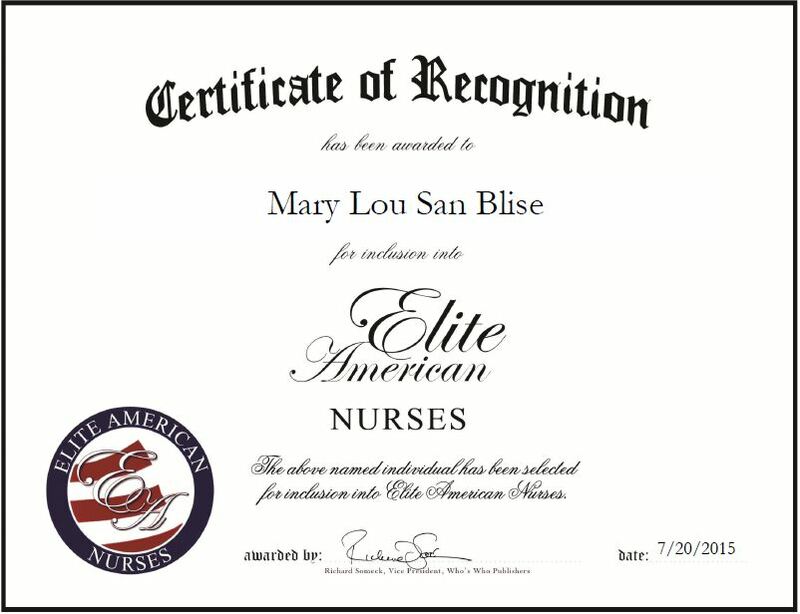 Salem, OR, July 20, 2015, Mary Lou San Blise, Mental Health Registered Nurse at Oregon State Hospital, has been recognized by Elite American Nurses for dedication, achievement and leadership in psychiatric nursing. She was inspired to enter the religious sector when she was 5 years old. While Ms. San Blise was working at the teaching order, she noticed a string of ladies sitting outside who looked sad and disheartened. Ms. San Blise recalls, “I said to myself: these are God’s most forgotten children.” She realized she wanted to be the one to make them smile and give them the support and encouragement they deserve. After leaving the teaching order, Ms. San Blise decided to pursue a career that would allow her to continue making a difference in the lives of others. Ms. San Blise loves what she does and is very passionate about helping people, especially those that can’t help themselves. She has been working in the mental health industry for 52 years, and has spent the last 17 years working in the psychiatric emergency room at the Oregon State Hospital. Ms. San Blise prides herself on her ability to connect with the severely mentally ill and to make her patients feel safe. A licensed psychiatric technician, Ms. San Blise prepared for her career by obtaining a master’s degree in counseling psychology, a bachelor’s degree in psychology and an associate degree in nursing. Her ultimate professional goal is to continue providing excellent nursing to her patients. In the coming years, she intends to mentor student nurses and write a book. 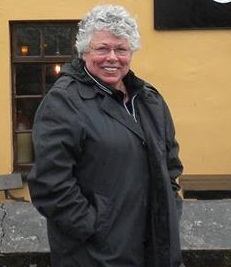 Aside from her work at the hospital, she is an advocate for state legislation on mental health. Ms. San Blise works with the state representatives and acts as the voice for those who cannot speak for themselves. She is also a part of the State of Oregon’s Emergency Response Team, and supports the Red Cross as a multi-gallon blood donor. For her stellar work, Ms. San Blise has been honored with numerous accolades, including San Diego’s Mental Heath Employee of the Year. This entry was posted in Psychiatric Care and tagged convent, emergency room, ER, mental health, mental illness, psychiatric nursing, registered nurse. Bookmark the permalink.